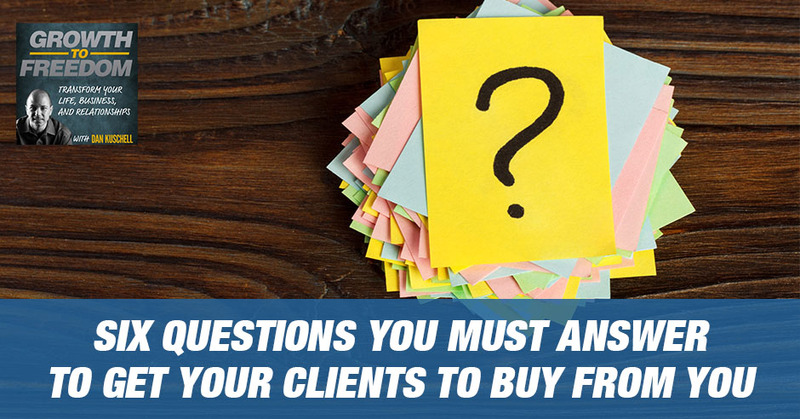 Have you ever struggled and felt a little uncomfortable trying to get your perfect clients to actually buy from you? Your clients probably have worked with others or bought from others. They’ve had experiences that lead to them having certain resistance, reluctance, barriers and obstacles. 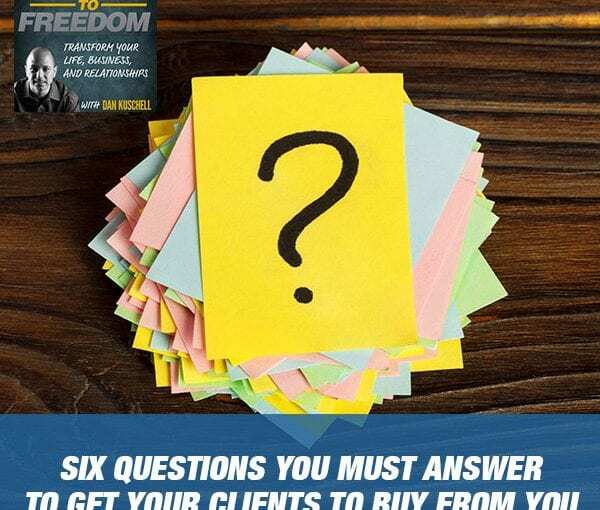 To get your clients to buy from you almost effortlessly and easily only takes six questions that you must answer. Learn what these are to connect the dots, see the blind spots, and get unstuck so that you can go out and be able to build more leads, more sales, more profitability, and more importantly, so you can go out there and have a bigger impact, a bigger reach, and a bigger contribution.